Up until now, the thought of shipping Jason Vargas off seemed like a fantasy. I mean, what team’s GM would want these numbers on their rotation? Surely a team contending for the playoffs wouldn’t. 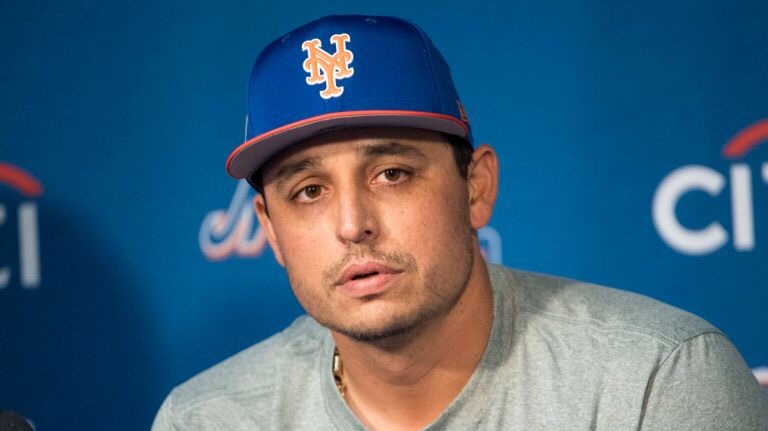 But I’m not so sure anymore, Vargas has put together two straight starts where he kept the Mets in the game & picked up the win in the second of the two. If Vargas can put together one more start, maybe going into the 6th inning while giving up two runs, he very well may have opened the door for him to get out & get traded to a contender that’s looking for help at the back end of the rotation. He could also serve & be useful as a long man for a team in the playoffs. If the Mets aren’t able to unload Vargas by the end of the August Trade Deadline, I believe the right move would be to move him to the bullpen. With Blevins potentially on his way out, Vargas & Zamora could serve as the two lefties coming out of the pen, not only for the remainder of this season but the 2019 season as well. If management isn’t unable to find a trade partner or unwilling to eat his entire salary, then put him in a position where he doesn’t have to pitch as much. Perfect for when the Mets are up or down by twenty runs. Joe Maddon would have pitchers he would only use in blow outs, It saves the rest of the bullpen while keeping those arms fresh for more important games down the stretch. This season with the Mets, Vargas has pitched poorly in the small time he’s not been injured. He has a 7.67 ERA in his 58.2 innings pitched, on top of that he’s given up 78 hits, 14 of which were homeruns. One thing that may favor Vargas if he moves to the pen is his 7.2 strike outs per 9 innings. By no stretch of the imagination is that impressive number, however I don’t find it to be a bad rate. However, time will soon tell what management & of course the Wilpon’s will decide to do. I imagine we might end up looking at another Ollie Perez situation. Previous Wait… Teams can still make trades?